Shopping malls, regardless of their locations present a wide variety of both safety and security concerns. There is nothing more stressful to Mall Management teams than to arrive on property and be greeted by a row of police vehicles, News teams and guest with cell phones. A sure way for your mall to lose foot traffic, business and profits is to allow it to become labeled as unsafe. Social media can place incidents occurring at your property in front of your customers and potential customers immediately. Having a well trained Security staff is paramount to ensuring that your property is never seen in an unfavorable light to the general public and community. Security Officers in this setting need to be trained and experienced in identifying and responding to a variety of incidents and accidents. It is also very important that these officers are trained to grasp your concept of performing outstanding customer service. We make sure this happens and go far and beyond. This is all backed up by an elite and knowledgeable Security Management staff that understand Mall operations, construction, leasing and more. WCI is well versed in Mall Security and we look forward to working with you and your team to make your property the safest in town. WCI provides a host of solutions for retail store needs. 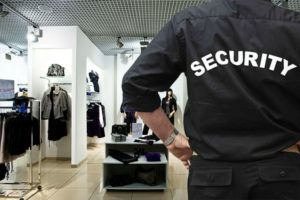 For high class boutiques we provide professionally dressed security personnel who blend into your company image. These officers are trained to detect possible shoplifters and to assist your staff with them. For those store with high internal/external losses WCI recommends our undercover loss prevention agents. These highly skilled officers are trained in tracking losses, installing covert cameras, identifying and apprehending shoplifters following local laws. Undercover agents are also trained in writing professional apprehension reports and testifying in court proceedings. WCI also can provide clients uniformed officers who remain highly visible and are effective as a deterrent to theft. These officers are trained to maintain vigilance and to assist your staff with unruly customers when necessary. As we all know, when attending events and concerts things can quickly get out of hand. The welfare of your guest and employees are essential to the success of any venue. Any event that fails to provide specially trained security officers and a safety plan are asking for trouble. While planning for a large function it is important to have a professional security company involved to ensure that any situation can be effectively dealt with. Here at West Coast Investigations we take pride in creating contingency plans for any and every situation that may arise, leaving you to focus on having a successful venue. We provide well trained officers who are both customer service trained as well as situationally trained. 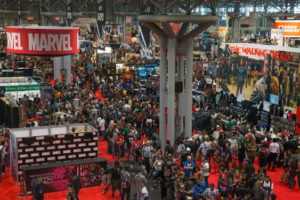 This way you can rest assured that the little behind the scene things are being handled without disrupting or taking away from your primary concern, the event itself. In the world today it is important that you keep your employees and their work space safe at all times. Its unfortunate but things happen every so often in a work environment. We are noticing increases in incidents involving disgruntled employees, terrorist incidents and domestic incidents that spill into the work place. We are committed to keeping your facility and employees safe, allowing them to focus on moving your company forward and less about what could possibly happen. 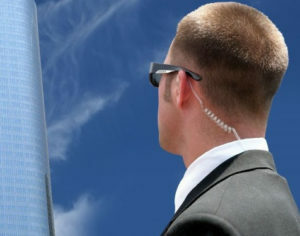 We provide officers that are well trained, vigilant and maintain a high professional profile to fit your company needs. We also specialize in entry control situations which eliminates unauthorized individuals entering your facility and gaining access to your work areas. WCI protects office buildings, warehouses, plants and other work related facilities. Each one comes with its own special challenges and we create a security plan that will provide you and your employees the protection you deserve. Courtesy patrols, gate guards or lobby security WCI does it all and we work with your management staff to tailor a system that fits your needs. WCI provides well trained officers that are professional, courteous, knowledgeable and friendly to ensure your clients feel safe and not threatened. WCI has bike patrols for large properties to allow officers to see and hear what’s going on within your community and are trained to be observant at all times. Gate guards are professionally dressed and courteous to your homeowners and their guest. They’re trained to be helpful and vigilant to ensure the safety of the compound and its residents. For lage master planned communities WCI officers patrol on foot, bikes, golf carts and/or vehicles to allow you the complete security coverage you desire. Officers are trained in safeguarding parks, recreational areas, parking lots and each individual community under your charge. 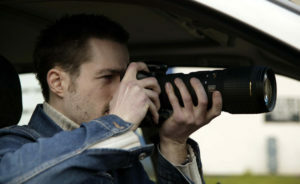 WCI possesses a world class private investigation section which provides confidential investigations for its clients. Investigators perform a variety of functions to include; background investigations, employment pre-hire investigations, infidelity surveillance, workers comp investigations, and much more.